Welcome to M+, Hong Kong’s new museum of visual culture. M+ has been active in Hong Kong and around the world since 2012, and we are currently completing the permanent home of the Museum博物館 🏗️ in the West Kowloon Cultural District. Like our building, this website is a work in progress, and it features a growing set of digital experiences. Here, you can explore the Collections藏品 🖼️, and a growing selection of Stories故事 📚 related to our research and programmes. 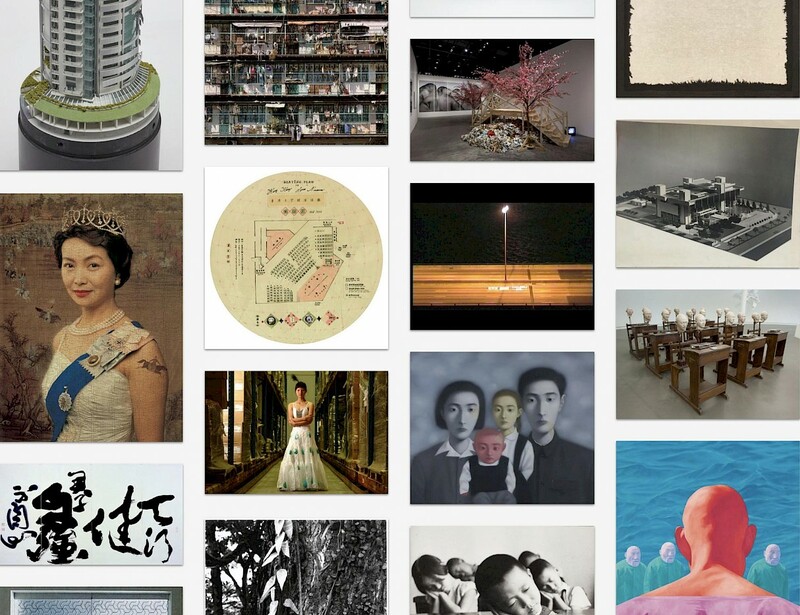 For M+ exhibitions and events see the West Kowloon What’s on. 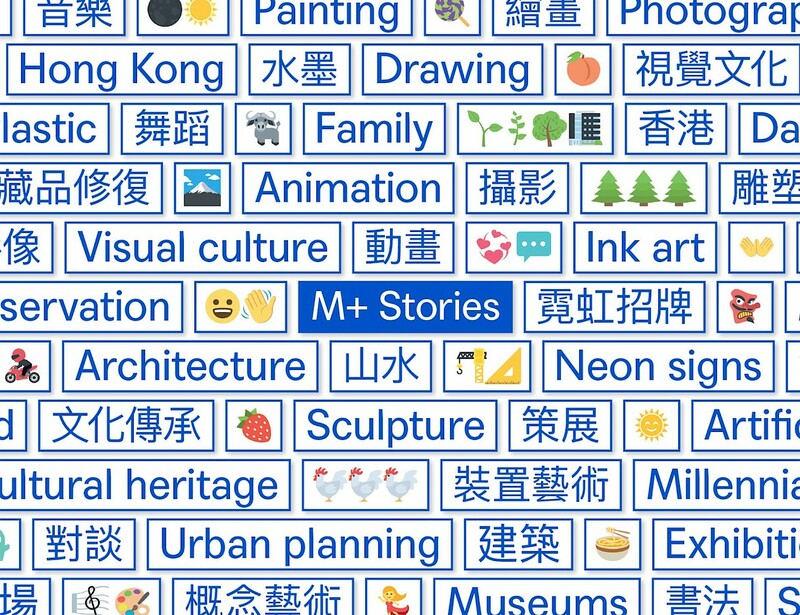 M+ is a museum dedicated to collecting, exhibiting, and interpreting visual art, design and architecture, moving image, and Hong Kong visual culture of the twentieth and twenty-first centuries. The M+ building, our permanent home in Hong Kong, is currently under construction in the West Kowloon Cultural District, and is scheduled to open in 2020. M+ Stories is the bilingual online storytelling platform of M+. You’ll find blog posts about anything and everything related to the museum, videos featuring artists and objects from the M+ Collections, interactive online exhibitions and digital commissions, and a journal devoted to contemporary visual culture. Explore over five thousands objects and archival items from the M+ Collections. This evolving beta platform builds on M+’s open access approach, which began with the release of the first M+ open data set in August 2018. Browse items that reflect and respond to the M+ Collections and M+ exhibitions, as well as a range of visual culture–related products and books. All proceeds go to support the work of M+. While the M+building is under construction, you can visit the M+ Pavilion, which opened in September 2016 just next to the museum site. We organise a variety of programmes—exhibitions, talks, screenings, and workshops—both in the M+ Pavilion and around Hong Kong. An M+ Pioneers membership gives you greater access to everything M+, and places you at the forefront of supporting and engaging with the museum we are creating. Since its launch in 2016, the M+ Pioneers programme has grown into a close-knit community with a shared commitment to the M+ vision. Learn more and find out how to join here. Sign up for the West Kowloon newsletter to get regular updates on M+, delivered right to your inbox.